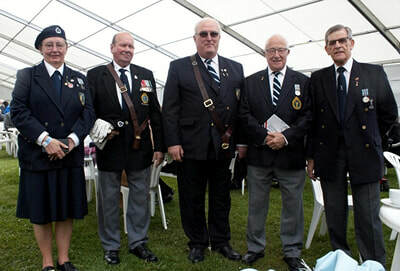 Alrewas 2018 - Royal Observer Corps Association This website was set up in October 2012 and is the new official site for the Royal Observer Corps Association. 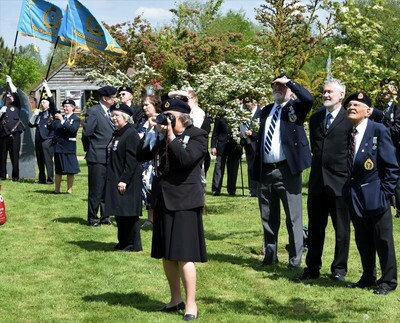 Under a cloudless sky, with temperatures in the 20C's all attendees were duly seated by 10.30a.m. 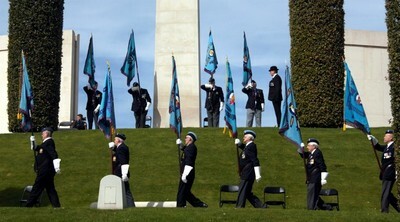 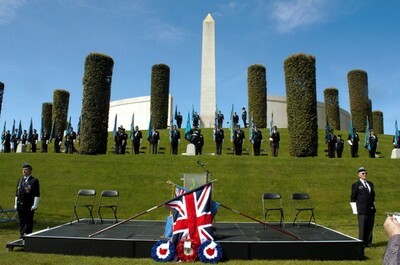 Dozens of RAFA Branch Standards formed up along footpaths surrounding the National Memorial's grassy mound. 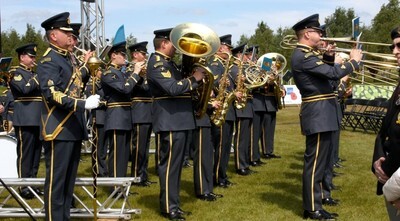 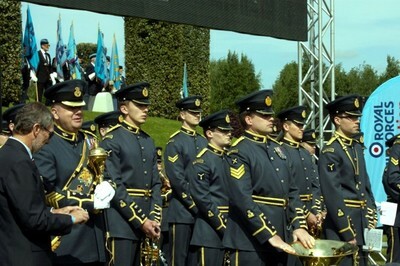 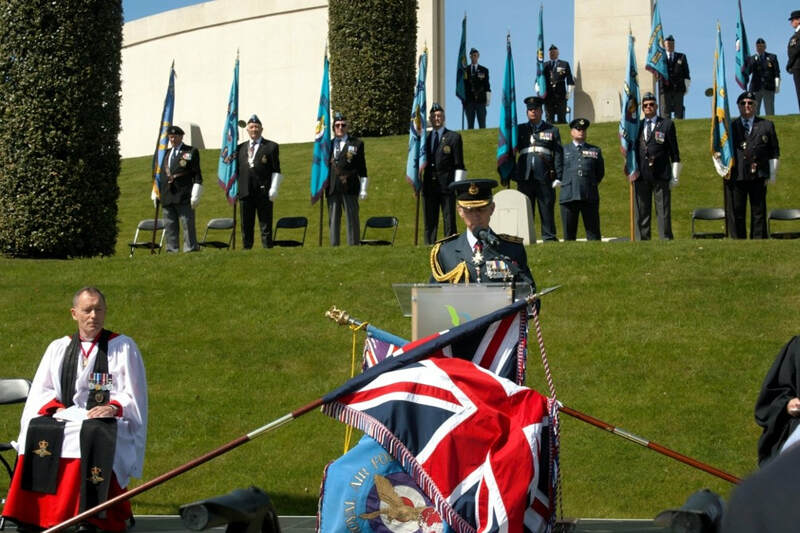 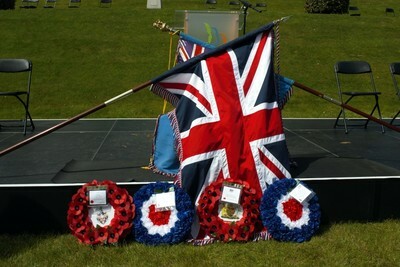 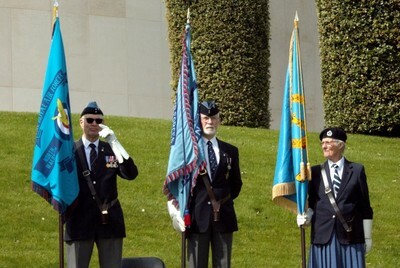 A Drum Head Ceremony signalled the start of the service with the laying of the RAFA National Standard together with the Union Jack. 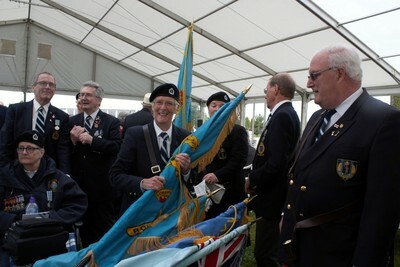 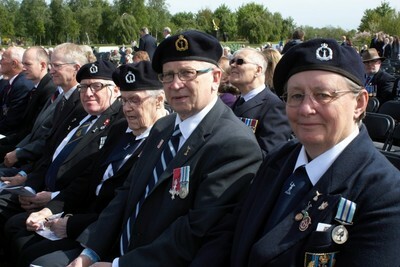 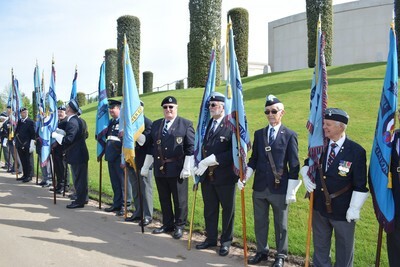 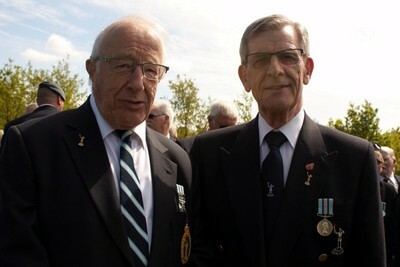 The ROCA National Standard was carried by Gordon Johnson of 8 Group Coventry accompanied by ROCA Group standards from 1 Group Maidstone (Jacqui Giles), 3 Group Oxford (Rosemary Ward), 7 Group Bedford (Mike Quincey), 12 Group Bristol (Chris Shire), 15 Group Lincoln (Bill Warwick), and 31 Group Belfast (Richard Scott). 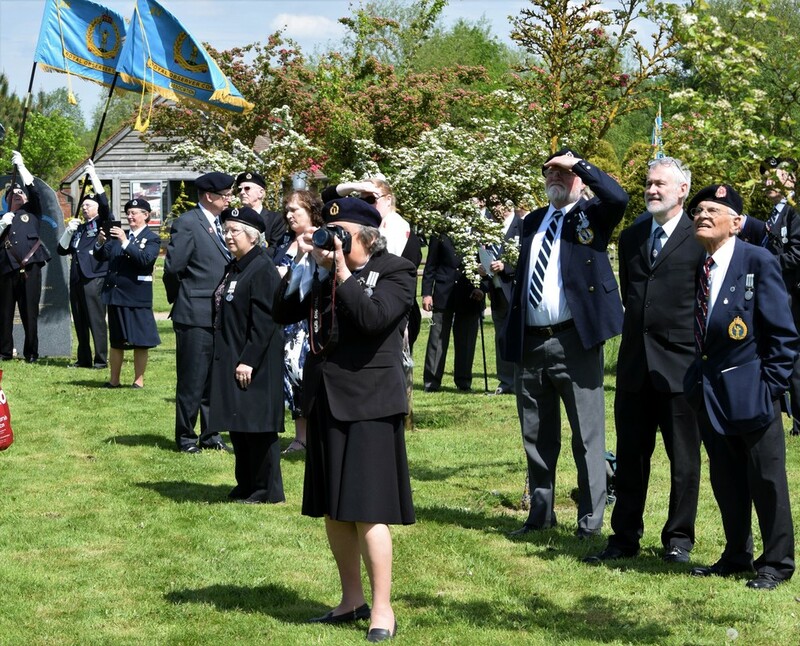 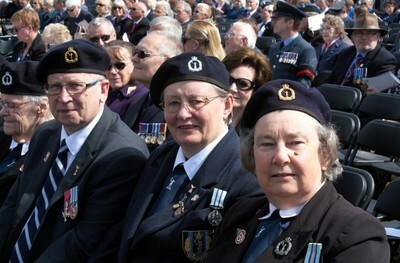 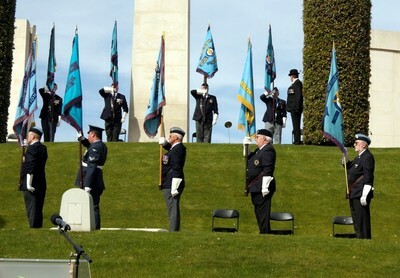 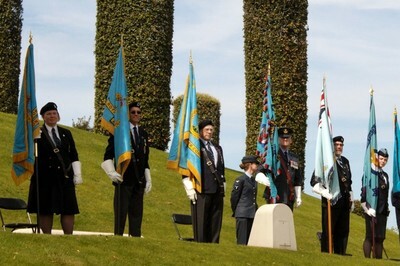 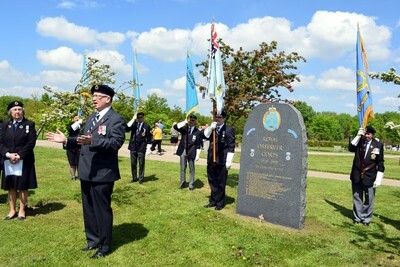 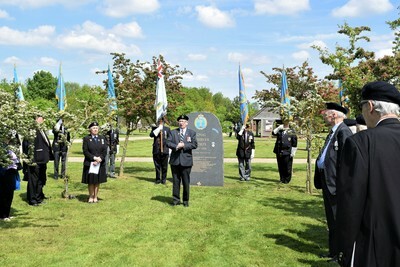 The service was led by The Venerable (Air Vice Marshal) Jonathan P M Chaffey CB QHC BA MA RAF - Chaplain-in-Chief Royal Air Force, assisted by The Reverend (Wing Commander) Alastair Bissell - Station Chaplain RAF Shawbury. 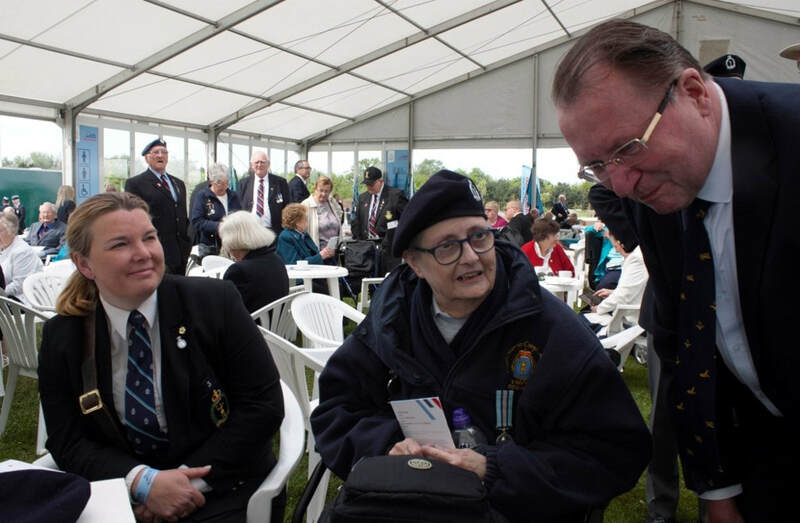 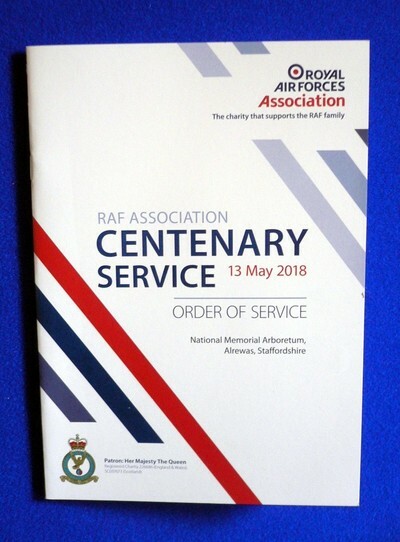 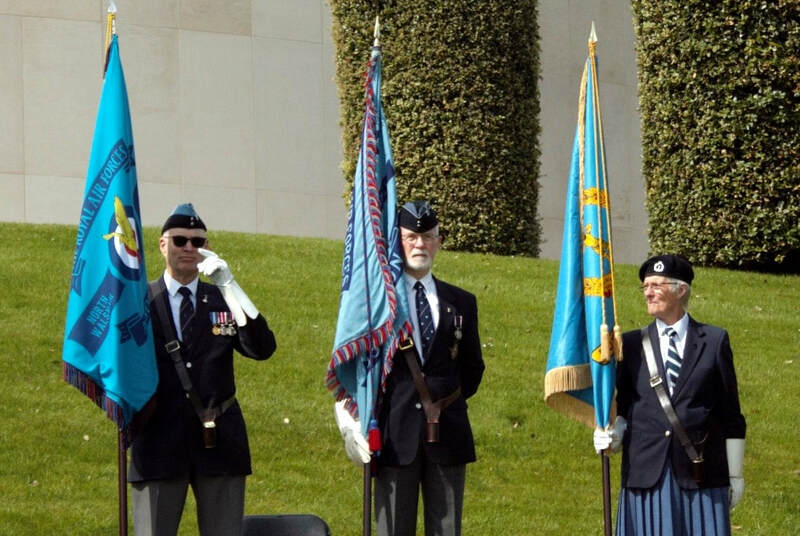 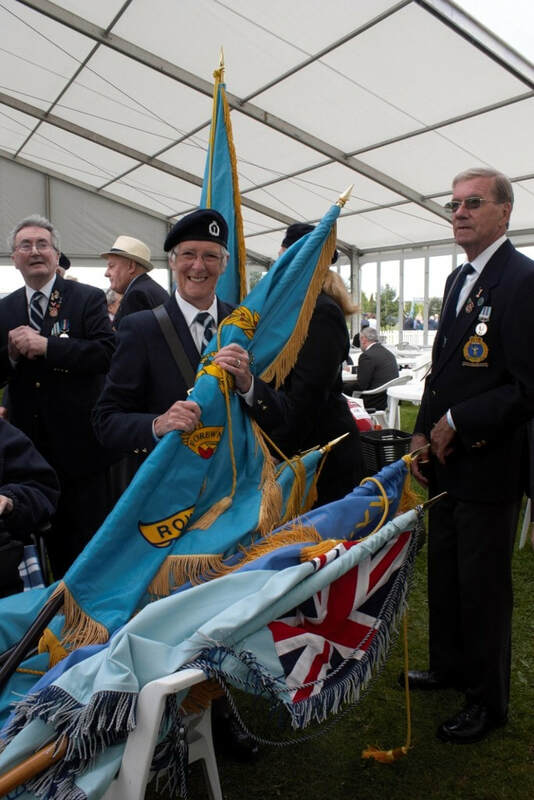 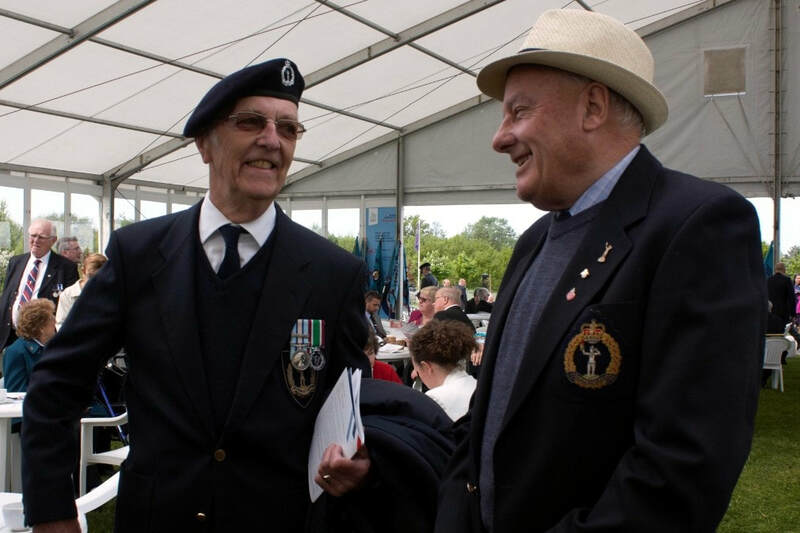 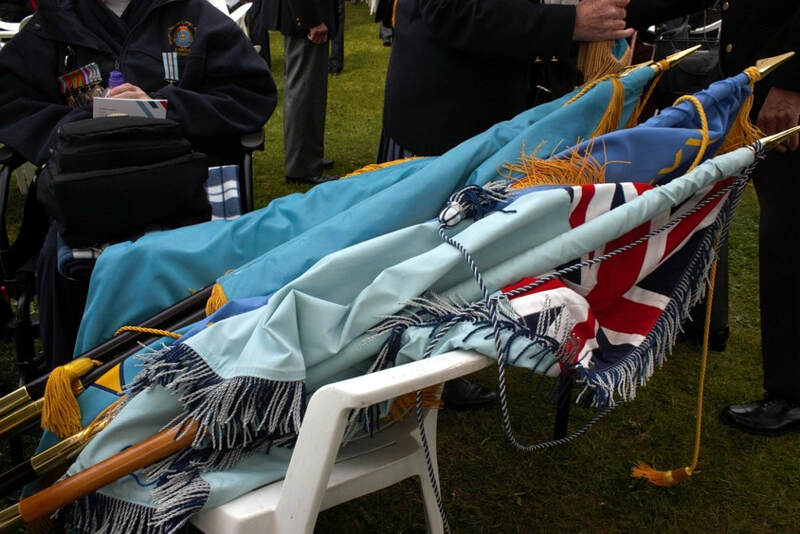 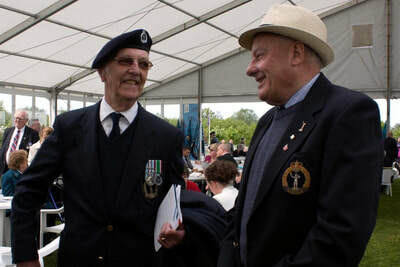 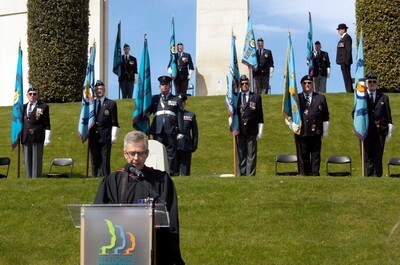 Readings were given by the President of the RAFA Air Marshal Sir Baz North KCB OBE MA FRAes and Air Chief Marshal Sir Stephen Hillier KCB CBE DFC ADC MA RAF Chief of the Air Staff. 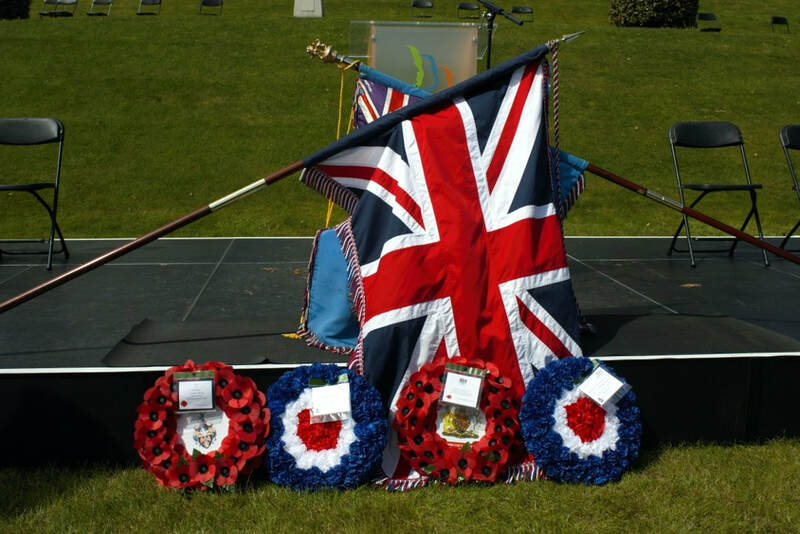 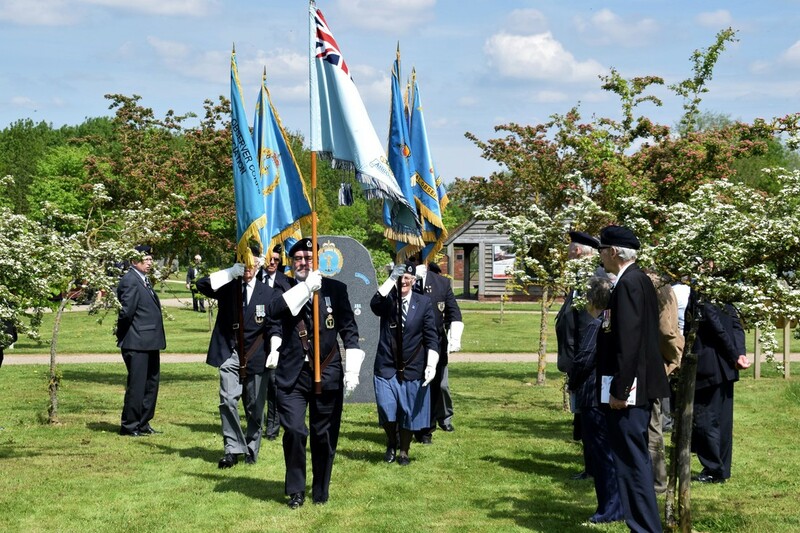 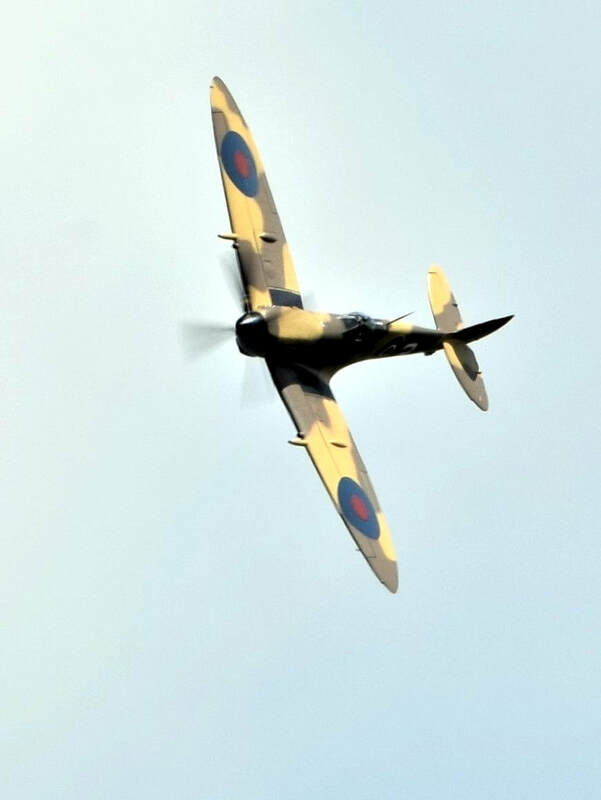 Wreaths were laid at the RAFA Grove and the procedings came to a close with a splendid multi-pass display by a Spitfire of he RAF Memorial Flight. 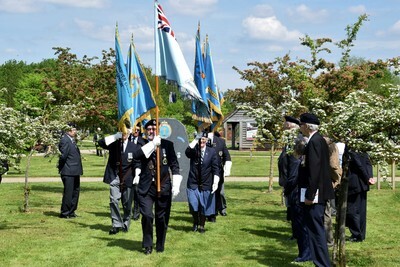 The usual gathering of ROCA members followed, after lunch, when the National and Group Standards.marched down the ROCA Grove between the Hawthorn trees. 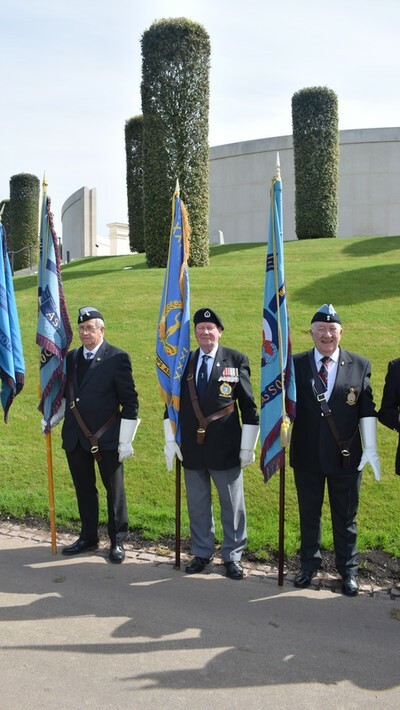 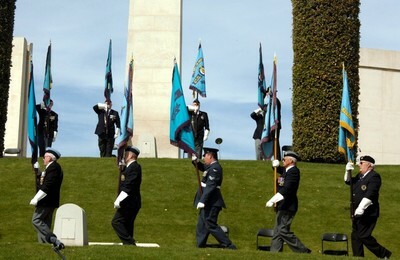 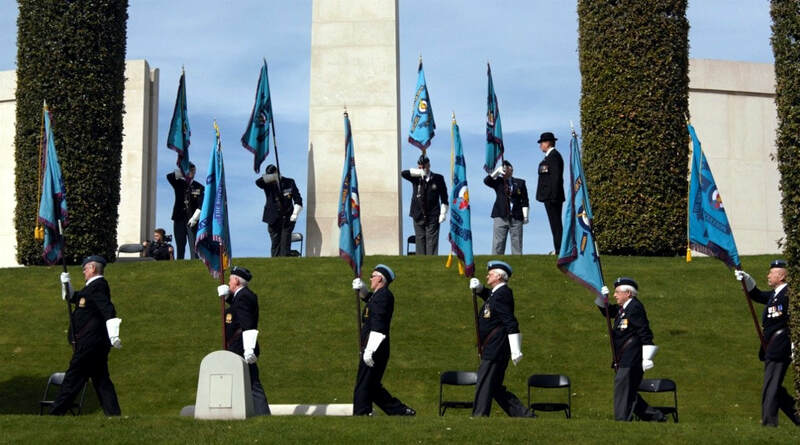 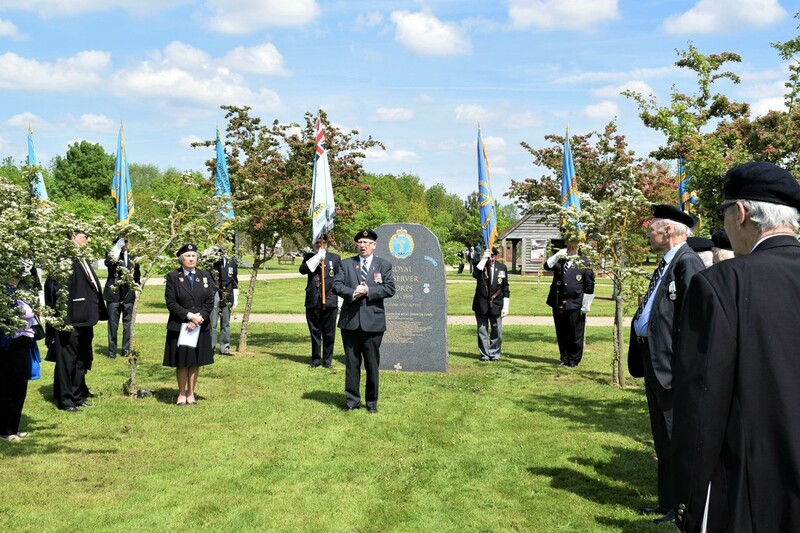 National Chairman John Sharpe and National Secretary Jenny Morris led the short Service of Remembrance with members assembled round the ROCA Memorial Headstone.